Governor Nyesom Wike of Rivers State has approved the constitution of the Board of Directors of the Rivers State Neighbourhood Safety Corps Agency. 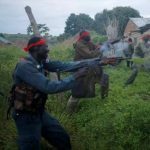 Governor David Umahi of Ebonyi state on Thursday ordered the arrest of his Deputy Chief of Staff, Fidelis Okpata, and other ”political office holders and stakeholders” from the warring Ekpomaka and Inyimagu communities pending the amicable resolution of the violent crisis which erupted in the area two days ago. Governor of Akwa Ibom State, Mr Udom Emmanuel, has signed the 2018 Appropriation Bill of N646.65 billion – 0.74% lower than the original proposal of N651.50 billion earlier presented to the state House of Assembly. 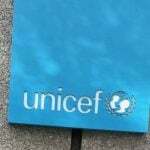 The United Nations Children’s Fund (UNICEF) says an estimated 169 million children missed out on the first dose of the measles vaccine between 2010 and 2017 or 21.1 million children a year on average. Paul Pogba does not want to be at Manchester United, claims Gary Neville, with transfer talk and the influence of his agent, Mino Raiola, leading the Real Madrid-linked midfielder to have his head turned. 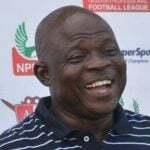 Rangers Int’l FC head coach, Gbenga Ogunbote, has been discussing his future and the 2016 Aiteo Cup winner has hinted he is open to bigger opportunities away from the Enugu based side. 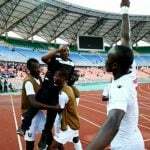 Coach of Guinea U17 national team Mohammed Camara has expressed delight after guiding his nation past Nigeria to qualify for the final of the 2019 CAF Africa U17 cup of nations winning 10-9 on penalties after both sides were deadlocked on goalless at regulation time. 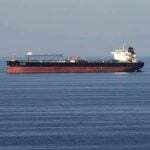 Unknown gunmen have killed ten people and injured several others in a fresh attack on Yar Center, Sherere village in Kankara local government area, Katsina State. 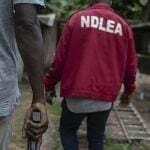 The Kano State Command of the National Drug Law Enforcement Agency (NDLEA) says it has arrested two suspects in possession of 2.927 kilograms of cocaine in the state. 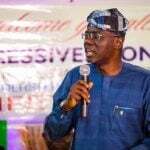 Lagos State Governor-elect, Babajide Sanwo-Olu, has appointed a 17-man committee to oversee preparation for his inauguration ceremony on May 29. 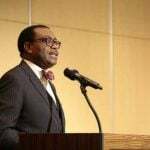 President of the African Development Bank (AfDB), Dr Akinwunmi Adesina, has said that Nigeria needs to evolve a more effective tariff structure in order to achieve steady electricity supply.